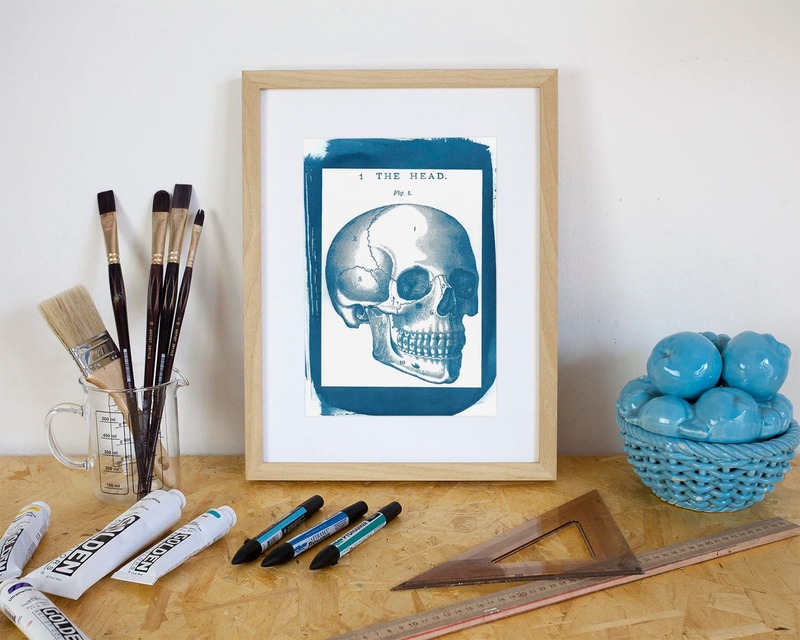 Limited series cyanotype print, handmade and printed under the Barcelona sun! 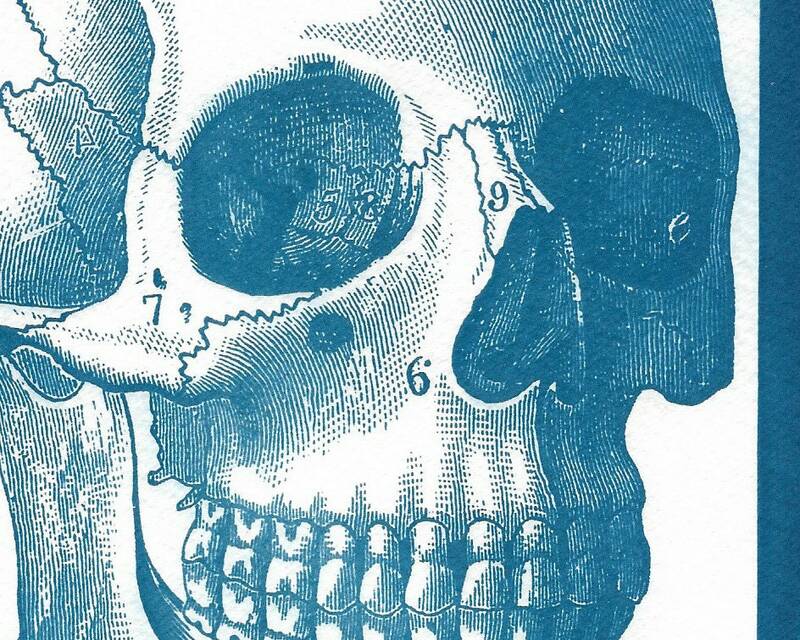 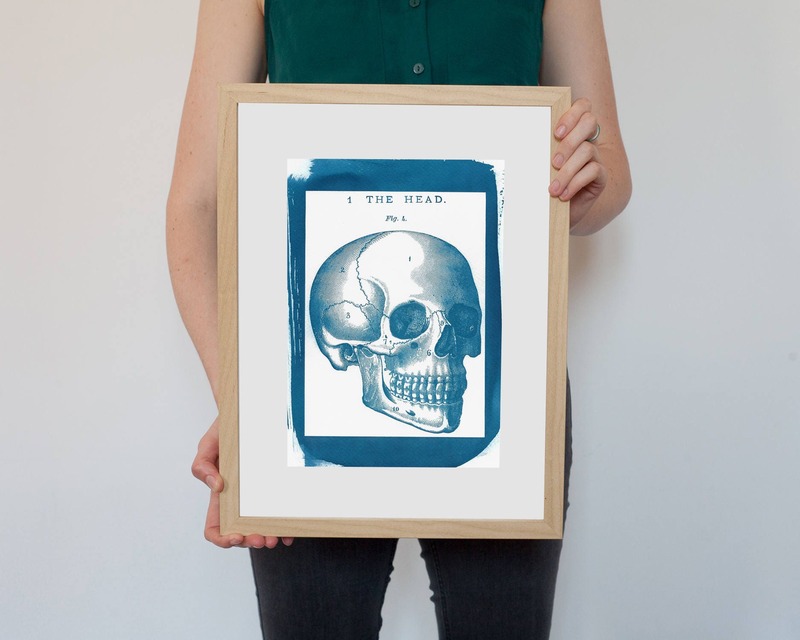 This is a beautiful vintage anatomical illustration of a human skull that will look great in every interior. 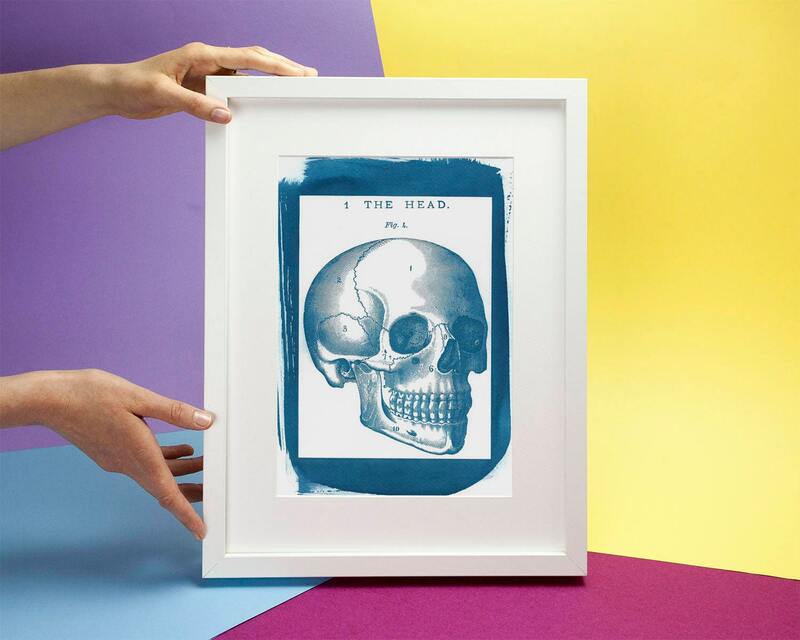 Great suggestion: Hang it on your wall next to another of our vintage anatomical-themed cyanotypes and you ll get the classiest combo ever! 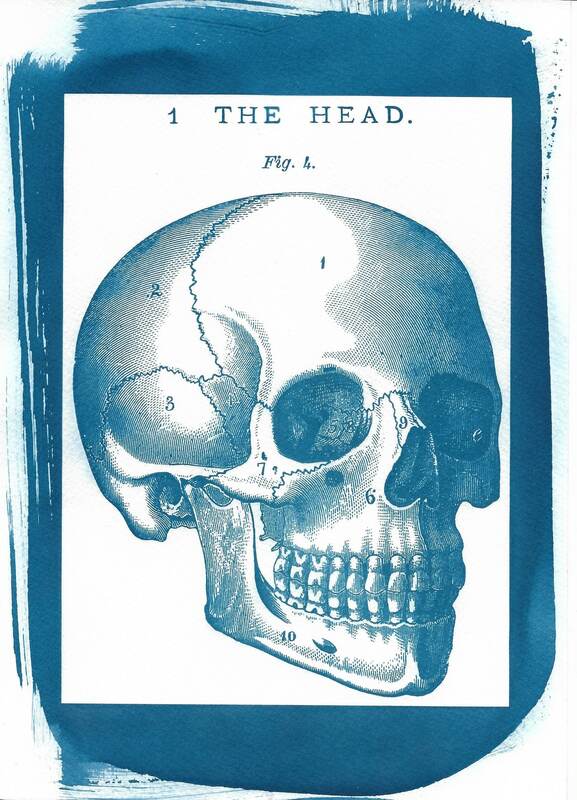 What you get is an amazing, royal blue image with absolutely no ink involved! 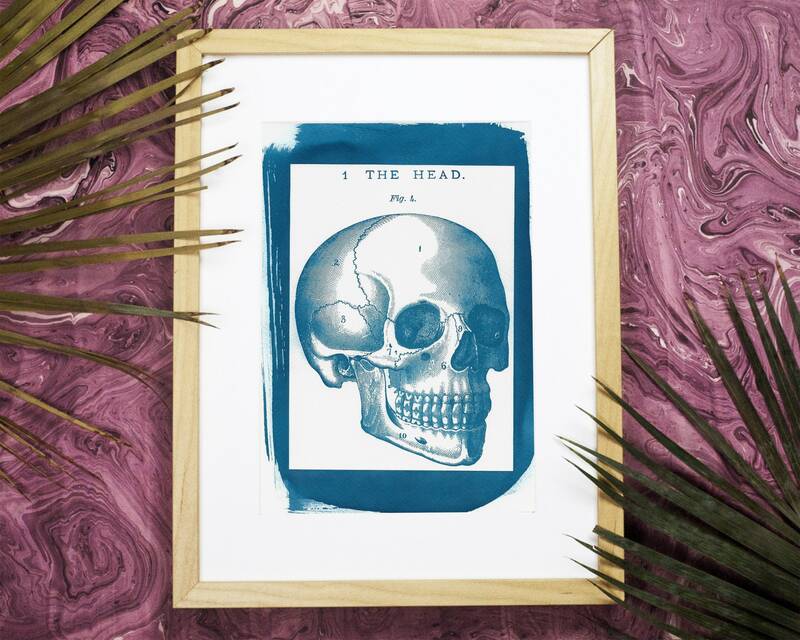 And since each print is handmade, tones will give gorgeous, subtle variations. 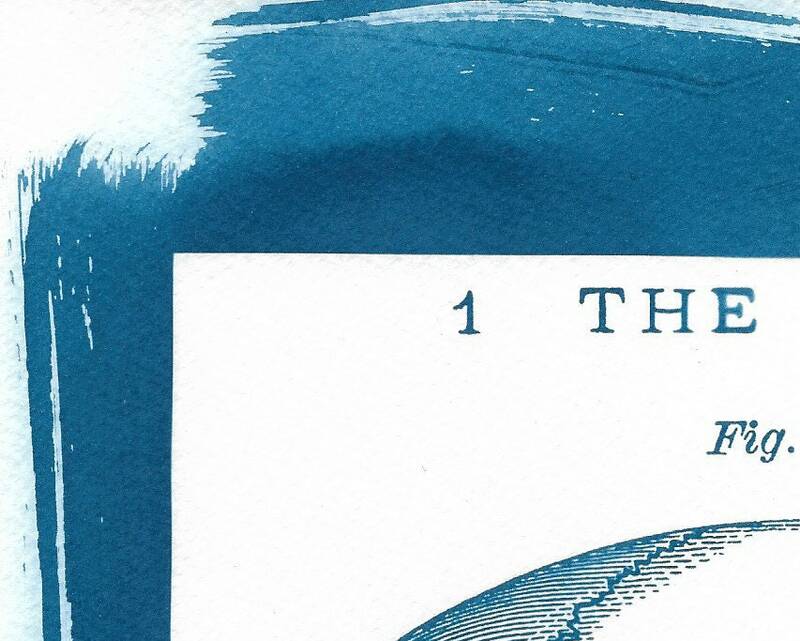 The beauty of cyanotypes is that each print is absolutely unique!